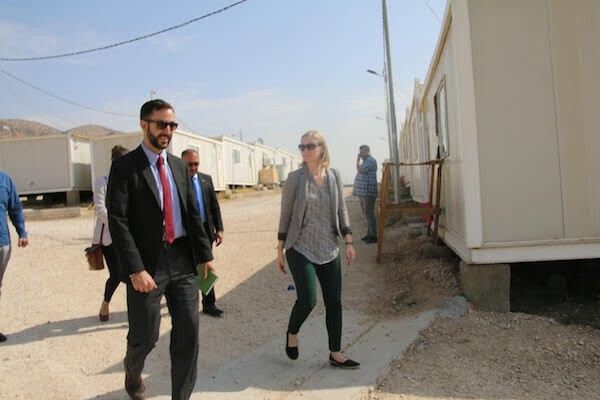 Last month, USAID announced more than $178 million in U.S. foreign assistance to support religious minorities in Iraq, bringing total U.S. assistance for the vulnerable communities to nearly $300 million. Vice President Mike Pence had vowed almost a year earlier to the day to send aid directly to the persecuted minorities in Iraq through USAID and through faith-based organizations that operate in the area. U.S. President Donald Trump’s administration is now prioritizing the security of religious minorities in Iraq, Primorac said. The U.S. has particularly redoubled efforts to “directly” assist genocide victims, he added, noting that the move is “a radical departure” from the previous administration. Before [the Trump administration] we were spending funds to support these [minority aid] organizations, but we were doing [the work] for them and above them. They weren’t fully engaged or included in the manner in which we were doing things. That has changed dramatically … It’s full inclusion … As a result, I think we’re much more effective in the expenditure of taxpayer funds … We are funding them directly. They are involved in every aspect of our decision making. USAID is reportedly fast-tracking U.S. aid for projects that bring jobs to religious minorities traumatized by the ISIS atrocities. Primorac said the Trump administration is taking a “whole-of-government approach” to help religious minorities return and leverage U.S. influence to bring back investment, security, and jobs to their hometowns. “We want to change the calculus of return,” he added. He said that he would “absolutely” urge religious minorities to return to war-ravaged Iraq. 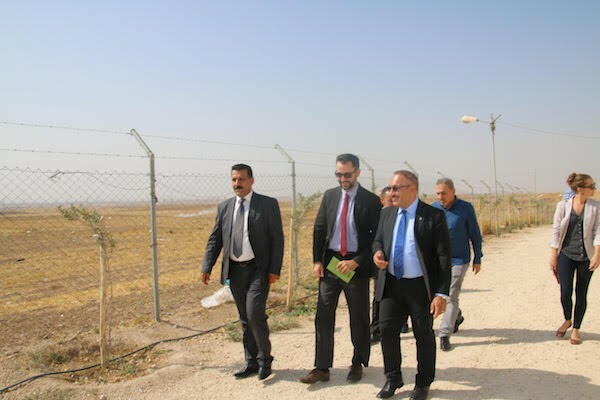 Citing the increased efforts, the USAID official noted that the U.S. expects “thousands of [Christian] Chaldeans to [soon] return back to Batnaya” alone, a Christian town north of Mosul. At the end of October, Breitbart News obtained photos showing that the thousands of Christians who have returned to Iraq in recent months are already breathing life back into their devastated villages, opening up schools and shops. Echoing a report issued by the Pentagon’s office fo the inspector general (OIG) this week, the USAID official acknowledged that security remains a major concern in Iraq, conceding that the Islamic State (ISIS/ISIL) and Iran-allied militias continue to pose a threat. “We are working on creating a legal environment [in Iraq] that treats them [minorities] as equal citizens,” he said. Some Christian leaders and activists in Iraq have complained that U.S. aid has failed to materialize, but the USAID official said the administration has recently disbursed a few million dollars “directly” to minority aid groups. “We’re at the first few months of this, but I think the returns are pretty significant,” he declared. Iraq is home to one of the oldest, continuously inhabited Christian regions in the world. It is believed to be the cradle of Christianity. Youhanna Yousif, an activist with the Hammurabi Human Rights Organization (HHRO) in Iraq, recently told Breitbart News that in Qaraqosh alone between 22,000 and 25,000 people have returned, noting at the number makes up about half of the Christian’s town’s population before ISIS. In its report, the Pentagon IG highlighted that the Trump administration had boosted efforts to help out religious minorities in Iraq. Although thousands of Christians have returned to Iraq, their population has gone from 1.5 million in 2003 to just 200,000, the according to the National Catholic Register (NCR).